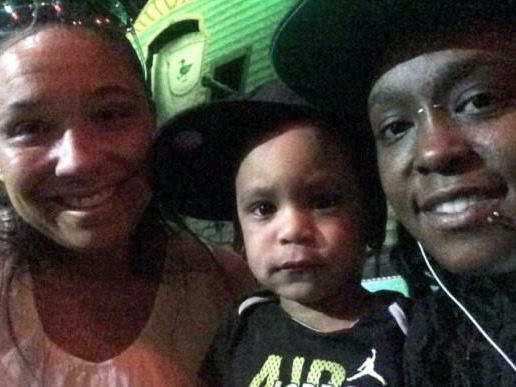 Emily Addison (left) and Deonka Drayton with their son. 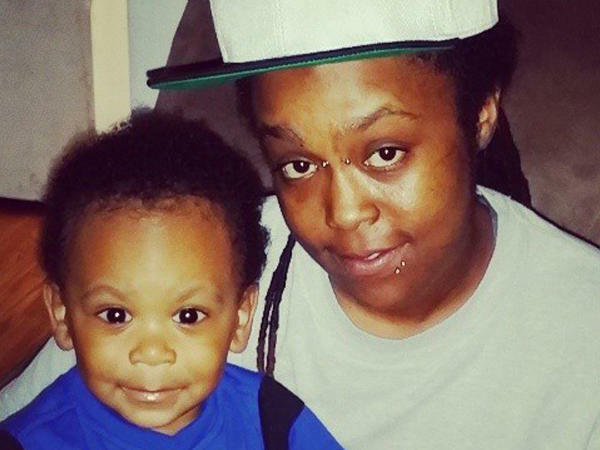 Deonka Drayton with her son. A year ago, a gunman opened fire in Pulse nightclub in Orlando, Fla. Deonka Drayton was one of the 49 people killed that night, in what was the deadliest mass shooting in modern U.S. history. Drayton was 32 at the time, and had a son with Emily Addison. "She had a beautiful voice, the most amazing smile, and she smelled so good all the time," Addison said during a recent visit to StoryCorps. The two moved to Florida together in 2012, and Drayton hated the heat. "But it did not matter how hot it was outside, she would go outside and play ball with our son," 37-year-old Addison said. "And she used to always tell me that, as long as she was alive, our son and I would never want for anything. And she kept her word." The night she was killed, Drayton sent texts to Addison. "She said that she was scared; people were shot," Addison recounted. "But when our son is asleep, we turn our ringers off. And I feel like I wasn't there for her when she needed me the most." When she finally saw the texts, Addison tried to contact Drayton, but her calls went straight to voicemail. "I prayed so hard my knuckles were white," Addison says. "But she was one of the ones that was murdered in the bathroom." As the first anniversary gets closer, Addison is constantly reminded of the last time she saw Drayton. "I can tell you what was in her stomach because I made the last meal. She loved my cooking. She loved my cooking," she says. "My son, he's 3 now, and every night ... when we're going to bed, we walk up the stairs, he'll turn to her picture and say, 'Night, night, mommy.' I don't know how to get him to understand that she's never coming back, and I miss her so much. That feeling is constant. Like, I need her to call me. I need to see her. "I will always love her, no matter what," Addison says. "There will never be an end." So it has been a year now since a gunman killed 49 people at the Pulse nightclub in Orlando. And today on StoryCorps, we're going to remember Deonka Drayton, one of the people murdered that night. She was 32 at the time. And she had a son with her partner Emily Addison. Addison came to StoryCorps to talk about what it has been like to lose her. EMILY ADDISON: She had a beautiful voice, the most amazing smile and she smelled so good all the time. We moved down here in Florida in 2012 together. But the heat - she couldn't stand the heat. But it did not matter how hot it was outside, she would go outside and play ball with our son. And she used to always tell me that as long as she was alive, our son and I would never want for anything. And she kept her word. She texted me that night. She said that she was scared, people were shot. But when our son is asleep, we turn our ringers off. And I feel like I wasn't there for her when she needed me the most. I tried to text her. Her phone was going straight to voicemail. And I prayed so hard my knuckles were white. But she was one of the ones that was murdered in the bathroom. The closer it gets to the one year anniversary, all it's doing is reminding me of the last time I saw her. I can tell you what was in her stomach because I made the last meal. She loved my cooking. She loved my cooking. My son, he's 3 now. And every night when we're going to bed, we walk up the stairs, he'll turn to her picture and say, night, night, Mommy. I don't know how to get him to understand that she's never coming back. And I miss her so much. That feeling is constant. Like, I need her to call me. I need to see her. I will always love her no matter what. There will never be an end. GREENE: Emily Addison remembering her partner Deonka Drayton, who was killed at the Pulse nightclub in Orlando, Fla. Her interview will be archived at the Library of Congress Transcript provided by NPR, Copyright NPR.